There are three kinds of cookie. Certain cookies are essential for saving settings or preferences during your visit or until your next visit to a website. If you decline cookies from a particular website, the site will ‘remember’ your preference by placing an essential cookie. Without this, you would have to answer the same questions each time you visit. Some cookies inform the website which pages you are viewing, in what order, and for how long. Using this information, the website can compile statistics that will help it adapt to its visitors' wishes. Some websites contain cookies from third-party websites. When placed on your computer, they automatically activate handy extras, like Google Maps (with interactive route description), a Facebook 'like' button, or a Twitter messaging option. These cookies inform the website you are viewing whether you are logged into Google, Facebook or Twitter. This website uses all three kinds of cookies. The cookies placed by this website contain no personal information. They cannot be used to identify you. This would require a combination of type-3 cookies and your login details for third-party websites (which can often be traced to individuals). Without additional information, cookies cannot threaten your privacy. This website contains Google Adsense advertising. Read how Google uses data when you use our partners' sites or apps. You can disable cookies in your browser. In that case parts of this website will not quite work. If the information on our policies regarding cookie use changes, you will automatically be informed when visiting this website again. In India, the Hanuman langur is also known as the holy ape. The animal is named after the Hindu god Hanuman, which is depicted as a talking ape. Apenheul, a primate zoo in the Netherlands, now has Hanuman langurs on exhibit. A horse in a pasture wearing a zebra blanket - that's an odd sight. Is it a joke (ha ha, zebras in a Dutch pasture)? No, there's more here than meets the eye. These blankets help keep horseflies at bay. 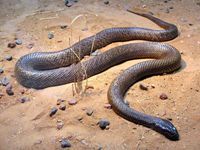 Technically, that would be the inland taipan, a snake native to Australia. It has the most toxic venom and injects the greatest amount per bite. Other snakes, however, are more dangerous and claim more victims. This is the title of a short course started at De Ulebelt, a a so-called children's farm in the Netherlands. 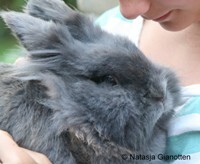 On this course, parents and children learn how to structure the life of their rabbit or guinea pig to be pleasurable and challenging. A 'herpetoduct' is a tunnel for reptiles. In 2009, RAVON and the province of Gelderland (the Netherlands) designed just such an underpass. Located near Elspeet, it appears well-suited to the various reptile species making use of it. ... a blanket with zebra stripes can protect a horse from horseflies? ... the Hanuman langur can jump 4 to 5 metres high? Nectar composition within a plant pollinator group can be variable, and bird pollinated plants can be segregated into two groups based on their adaptations to either a specialist or an occasional bird pollination system. 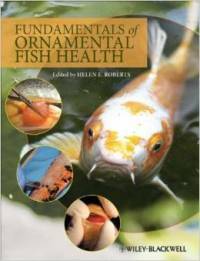 This book is a complete guide to ornamental fish health, based on thorough medical knowledge and packaged in short, very readable chapters. Male animals can do some strange things to get the attention of females. Great bustards, for instance, knowingly eat poisonous beetles in order to impress potential mates. 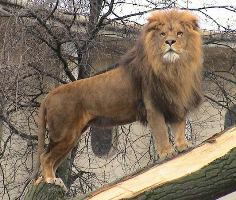 Especially during mating season, the males do this to ‘brag’ about being tough and enjoying good health. Crocodiles hunt in a team, as recently research has demonstrated. This makes them members of the elite club of approximately 20 animal species (including humans) with activities including sophisticated coordination among a number of individuals with different roles.